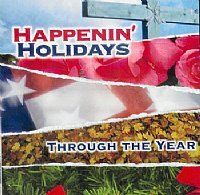 This collection of songs focuses on holidays throughout the year. It includes upbeat, fun songs as well as songs with a strong message. Musical styles are listed in italics.